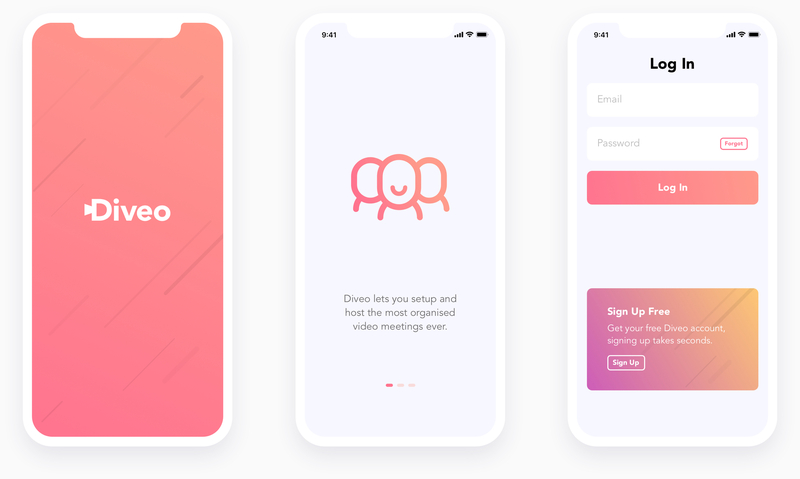 I led the design and UX of Diveo, a video conference app full of features all recorded and stored securely in the cloud. 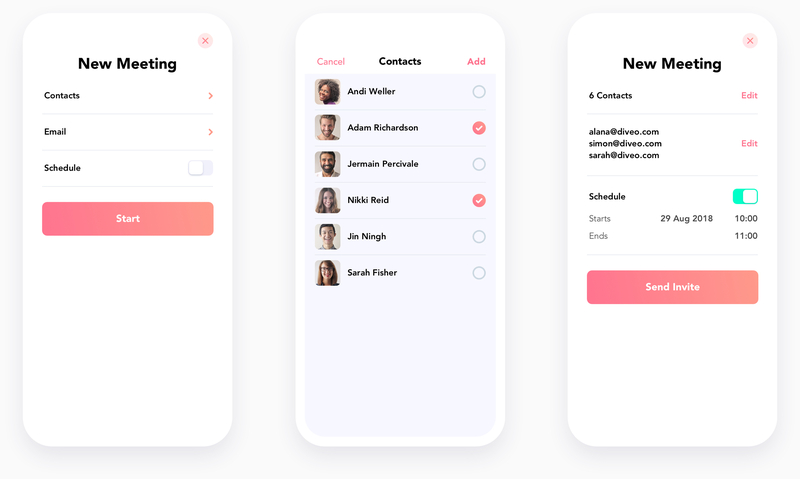 Video call apps are everywhere so it was really important to design something that could rise above the rest. 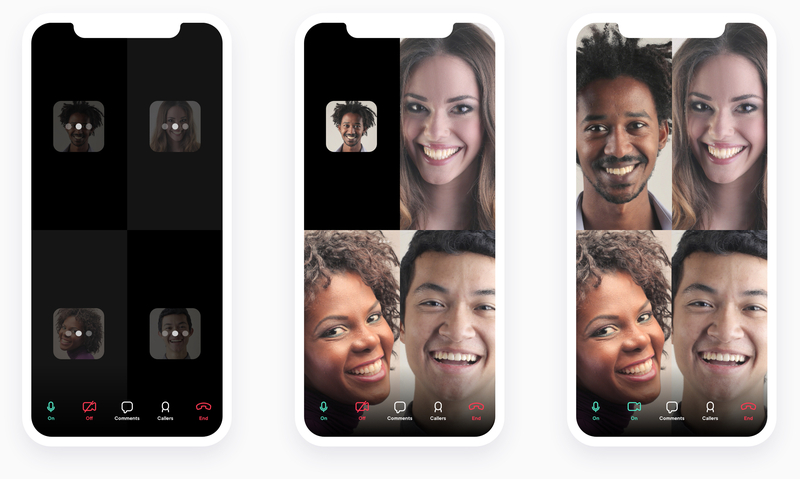 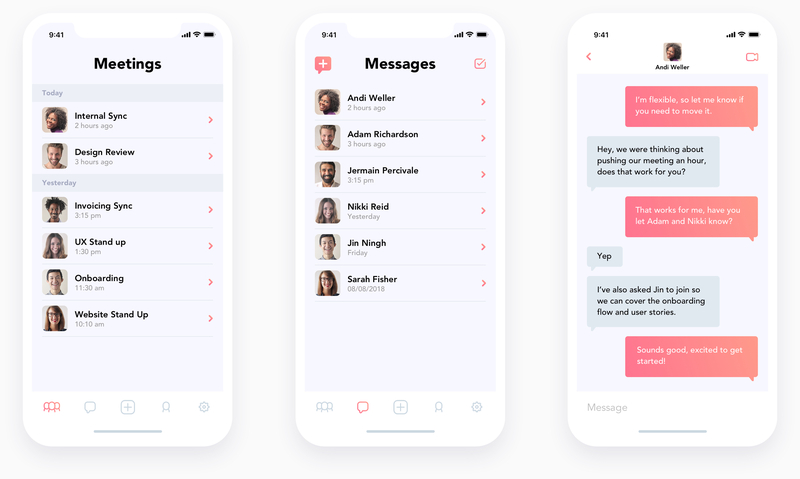 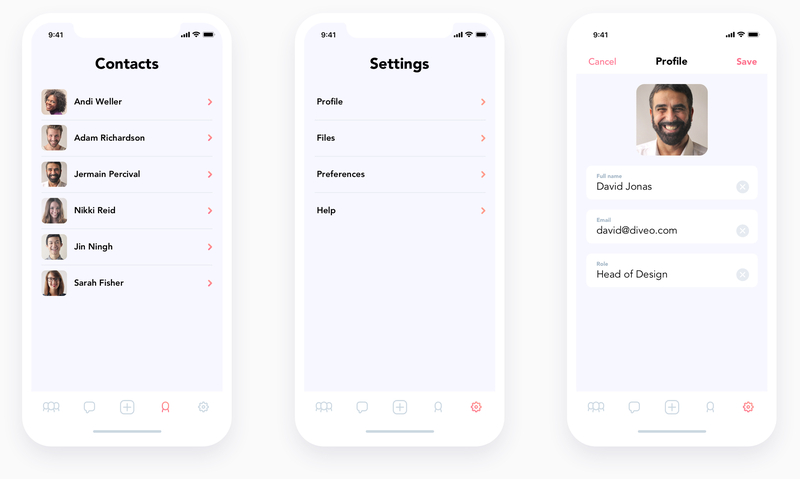 The idea of Diveo is to combine that best features of a video call app with the best features of other communication tools so teams can be in sync from one awesome app where everything is recorded and stored securely for the future.